Dumb mouse who told (in his own way) Rangers that all mice of the town disappeared. According the fact that Gadget knew his name and she didn't protest against his VERY warm greetings we can consider she met him earlier. 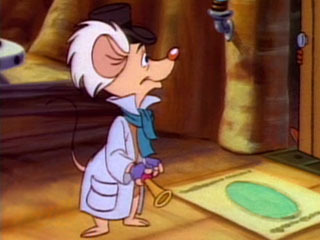 He directed Gadget onto idea that disappeared only mice who able to hear.